A 10-ply walnut snare with dark, tonal properties. The Tama S.L.P. G-Walnut snare drum is constructed with a 10-ply, 9mm thick 100% walnut shell, which is thicker than the standard Tama snare shell. The combination of walnut wood - known for its dark fundamental timbre and thick shell produce a deep, complex tone with exceptional attack and cut. 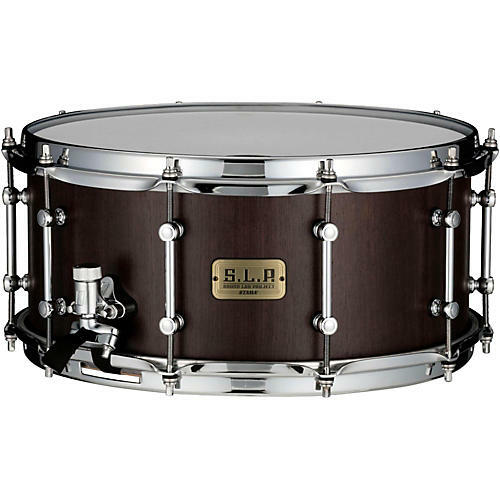 Snare Size: 14" x 6-1/2"